Nicolas Roche has the hard Tirreno-Adriatico in his legs now and with recovery before the weekend he will look to be fresh for Milan-Sanremo. With Sam Bennett already a confirmed starter at Milan-Sanremo on Saturday the name of another Irishman has been added to the start sheet; Nicolas Roche. He will line-out with Team Sunweb, a squad that has a number of options for the opening monument of the season. The team’s obvious leader for the race would be Australian Michael Matthews as he has podiumed in the event in the past. The 28-year-old was 3rd in 2015 and placed 7th twelve months ago. However, he was the victim of a crash on the opening day of Paris-Nice. That put him out of the race, costing him badly needed race miles as some of his key season goals approach. But Team Sunweb management has said Matthews had time to recover after departing Paris-Nice on the opening stage. And the team was hopeful he could ride well on Saturday. Matthews has only ridden one other race this year, finishing 12th in Omloop Het Nieuwsblad Elite. As he is unsure of his chances, the team was also Tom Dumoulin for a possible attack on the Poggio after his 4th overall at Tirreno-Adriatico. Søren Kragh Andersen may also be an outside bet after a strong Volta ao Algarve em Bicicleta when he went close to victory and took 2nd overall. Nicolas Roche competed in Tirreno-Adriatico last week and that should have helped whip him into shape. He’s a rider who likes plenty of racing to come around to peak condition and can be a very valuable asset to the team at the weekend. Others in the line-up for Milan-Sanremo include Roy Curvers, U23 European and world road race champion Marc Hirschi and Dane Casper Pedersen, who rode with Aqua Blue Sport last year. 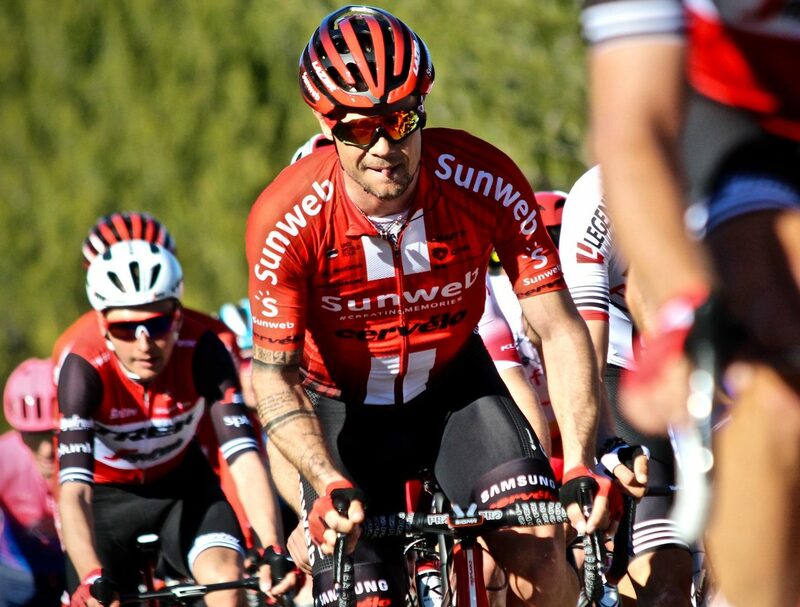 Team Sunweb coach Luke Roberts said the 291km Milan-Sanremo should be epic. “It retains its traditional parcours that always created a bit of an unpredictable outcome,” he said. “Last year we saw an attack on the Poggio that survived to the finish. But we have also seen the race favour the sprinters that can get over the climbs and come to a reduced bunch sprint. “After Michael’s tough crash in Paris-Nice last week we’re pleased to see him back in action this weekend. “After a recovery period off the bike we will have to see what’s possible in the race. “He has a good base and is cleared to race by our medical team and hopefully he can get to the final if we have a reduced bunch. “We also have Tom coming from Tirreno-Adriatico where he finished 4th. He will of course look to cover the attacks on the Poggio.